I liked the Cosmere Collection a lot, but it's not going to be for most people. 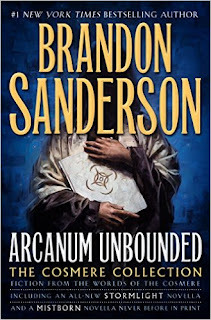 The Cosmere is the greater interconnected universe that Brandon Sanderson has slowly been building in the background of a lot of his novels and novellas. He's mentioned that they're all connected and only recently have some of the connections been mentioned in the text of his work. This is a short story collection all about that. It's a series of short stories and novellas from his various worlds in the Cosmere. Some of them are brand new for this collection and some of them I've read before as stand-alones. But, they're all good. 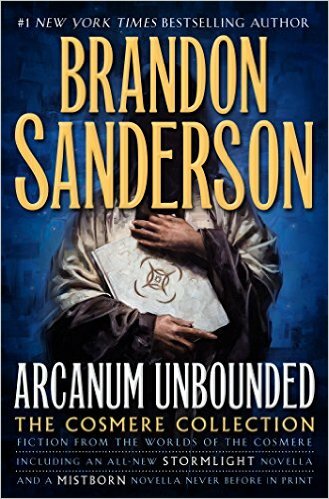 If you've read the majority of Sanderson's work then you owe it to yourself to pick up this Cosmere Collection. If you haven't read any of his work or only a few books then definitely skip this one for the moment and keep it in mind for later. But for the Sanderson fans out there, this one is great! We get so many comments and questions from you guys that we wanted to take this opportunity to address some of them. We take notes on them, so we put the ones together that we didn’t think we’d be able to pull together a full episode around. The topics we discuss this time are pretty varied, but we think you will enjoy them--mainly because you suggested them! It was so much fun recording this episode. So keep those comments and suggestions coming! General game design, including pet peeves, the best examples of single aspects, Bartle’s taxonomy, and the cost of games over the years. Products, games, and media that we just want to love, but don’t. Morality in roleplaying games. This turned into a very interesting discussion about gaming personalities and our real-life personalities. Thoughts on Knights of the Old Republic, including KOTOR, KOTOR 2, and SWTOR. You know you want to hear our thoughts on Mario Kart. Because Mario Kart. We both love cyberpunk. We talk about movies and books and games. Is Neuromancer really incomprehensible? How many versions of Blade Runner have we seen? And do androids dream of electric sheep for real? LISTEN TO FIND OUT! How have Podcasts and Netflix changed how we watch or listen to shows, especially based on release schedules? Beej - The Onion Router and digital security in general. Net neutrality, y’all. I'm going to be starting a new job soon and when life transitions happen something always has to give. So, there's probably going to be a writing slow down here on the blog. I've been on the 5-7 post per week schedule for awhile and I'm going to let that go for the moment. I'll still be writing whenever I have the time and feel like it, but honestly... if there's anything I really want to discuss I'm going to make sure it makes it onto the podcast because that's something that won't have a slowdown. 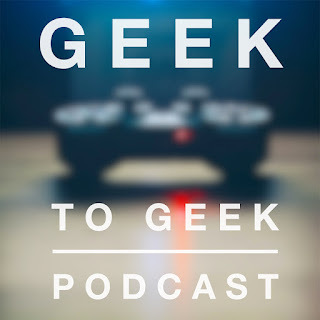 Expect things you would normally see on here as short posts to now often end up on the Geek to Geek Podcast in the weekly geekery section instead. I'm still going to be posting the podcast on here every week and writing whenever I have the time and topic for it! Mostly, I'm not going anywhere, but the amount of writing I put out is probably going to take a hit for a while. I just wanted to give a heads up! The guys at Penny Arcade who do Acquisitions Incorporated released a Holiday Special! 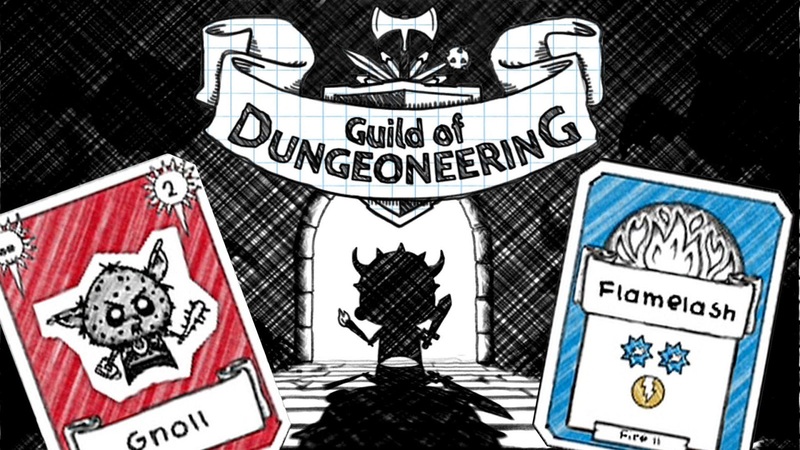 If you're not familiar with it, Acq Inc is a Dungeons and Dragons live play show. It started out as a series of podcasts but quickly became a mainstay live play event at PAX that's captured on video and streamed to everyone. This last year they finally dabbled in actually running a campaign between big set-piece events and released a season of a YouTube show. This picks up in that same vein. It was really fun to watch. It was definitely a side story so that you don't need it to know what's going on, but it was still interesting to watch through once. This is the first time they've released something like this on a paid service so I hope it works out for them. Luckily, a lot of people have Amazon Prime and it's included with that, which is how I watched it. Otherwise it's only $5 on Amazon video or on Vimeo. 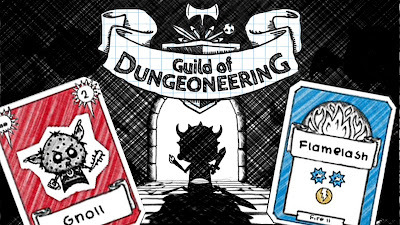 Check it out if you're up to date with the Acq Inc crew! 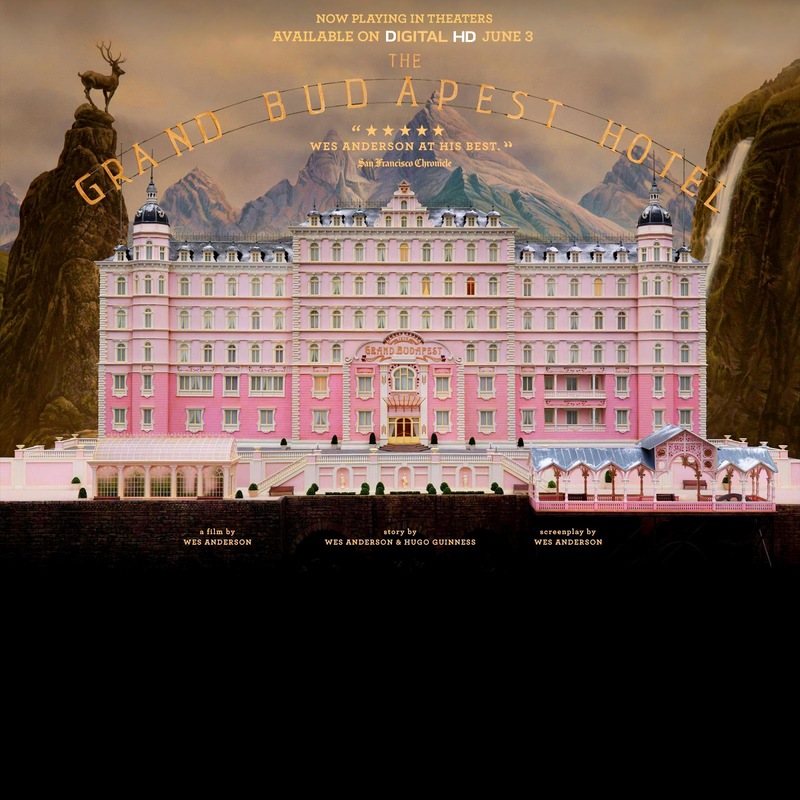 I checked out The Grand Budapest Hotel after seeing it on an episode of Movies of Mikey. I knew almost nothing about it going in except what I learned from that video. I liked it. It's a little more... artsy... I think that's the word I want... than movies I typically watch but it was good anyway. I really liked the framing devices they used for the different levels of story. It has a story in a story in a story thing going on that's broken up by using different aspect ratios for different levels of the story. There's also some unreliable narrator thrown in there too for good measure. I honestly didn't know if I would even make it five minutes into this movie but I was engrossed the whole time I was watching it. 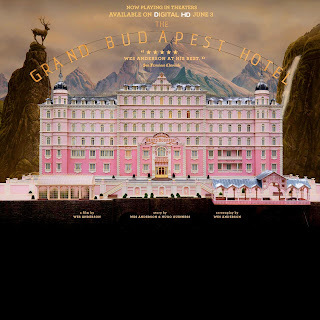 With my typical kind of movies I would know who to recommend it to and who not too but this one throws me for a loop. I would say if you get a chance to try this one on the cheap you should give it a shot. In the end, I liked it. I replayed FFXV. I waited until they patched in the New Game Plus mode so I could pick up with all my levels, skills, post game content, and items. This time through the game I only did the critical path, no side questing at all. With my character levels this meant I got through the story really fast, which is exactly what I wanted. Although, Chapter 13 still feels slow even with super high level characters and the patch they put in to make the magic faster. But, I think I appreciate the story more the second time. 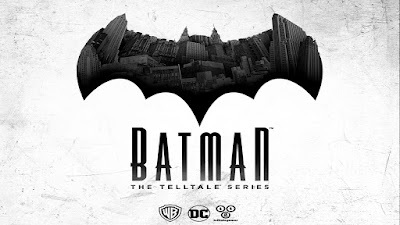 I still like the surface level stuff going on and the relationships between the main party, but this second time I understood the story better between the main protagonist and antagonist. And that story between Noctis and Ardyn is probably one of my favorite Final Fantasy stories ever. I wish it were explained better the first time through instead of having a big info dump at the end. It had a much bigger impact on me when I knew what the stakes were from the beginning. 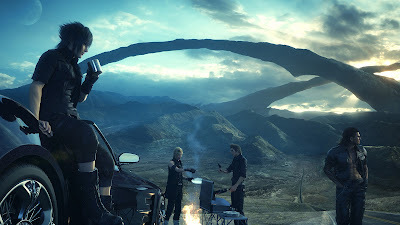 I'm still interested to see what else they'll end up patching in and adding to FFXV over the next year, but for now I'm putting the game down again while I wait for it! Netflix Originals tend to keep our attention more than most other TV shows. For the most part, network TV doesn’t interest us, and we binge Netflix Originals and look forward to them all year long. The only other network putting out content as good as some of these Netflix Originals is HBO. And even that is only a few shows like West World and Game of Thrones. Hulu and Amazon have original shows they produce, too, and they’re fantastic as well. But they’re few and far between compared to Netflix. Beej loves Casual on Hulu and Alpha House on Amazon. THere are others, too, that you should check out like 11-22-63 and The Man in the High Castle. Are the non-streaming networks are in trouble? We think so. Netflix is quadrupling their content this year, putting an additional $6 Billion for new content in 2017--including over 600 hours of new Netflix Originals. Just as an example, The Crown was picked up for a full run of 6 seasons (10 episodes per seasons) with each episode averaging a budget of $2.5 Million. So yeah. They’re pretty confident in themselves. Netflix MCU: Daredevil, Jessica Jones, Luke Cage, and the upcoming Defenders, Iron Fist, and Punisher (plus new seasons of the existing shows). $300 in the US with console, dock, joycons, cables, and joycon battery base controller pak thingy. Neon coloring… more colors later probably. Dual color...kind of ugly. Joycons look potentially over-engineered. Why does Nintendo always need a new gimmick? How much did this add to the price? $80 for a pair. Dock is $90. Expensive peripherals all around. $70 pro controller. Maybe just buy a second Switch instead? I pre-ordered. I knew I was going to get this. I had the money put aside. I’m excited. I also totally understand why most people would wait. My criteria is generally 2 games I want to play on day 1. For me the winners here are Zelda, 1 2 Switch (though I won’t buy it), Has Been Heroes, and Arms. Longer term I know I’ll pick up Mario Kart 8 Deluxe, Splatoon 2, and Super Mario Odyssey. 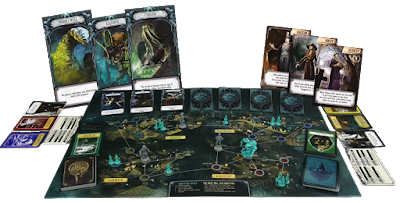 I had a lot of fun with Cthulhu Pandemic. I wasn't sure what I would think when I picked it up. I was just hoping for a slight twist on the standard Pandemic formula. This game gives that and more. It still has the feel of controlled chaos and managing a node-based board of increasing tension. But this time it's all Cthulhu themed. Outbreaks are replaced with summoning rituals that bring forth Old Ones to change up board conditions. Finding cures for diseases is replaced with shutting gates to another dimension. And disease cubes are replaced by adorable little cultist figures. I like that this game gives the same feel as Pandemic while really being it's own game. This doesn't feel like a reskinning of the base game as much as a unique twist on it, which is fantastic. 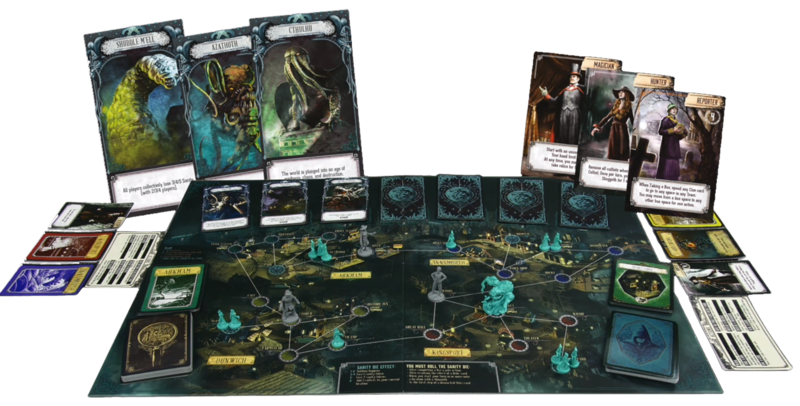 While Cthulhu Pandemic won't be replacing Pandemic on my shelf but it also won't be shoved in a corner as a second-class citizen of a game. It will sit right next to Pandemic and I anticipate it will be played just as often. 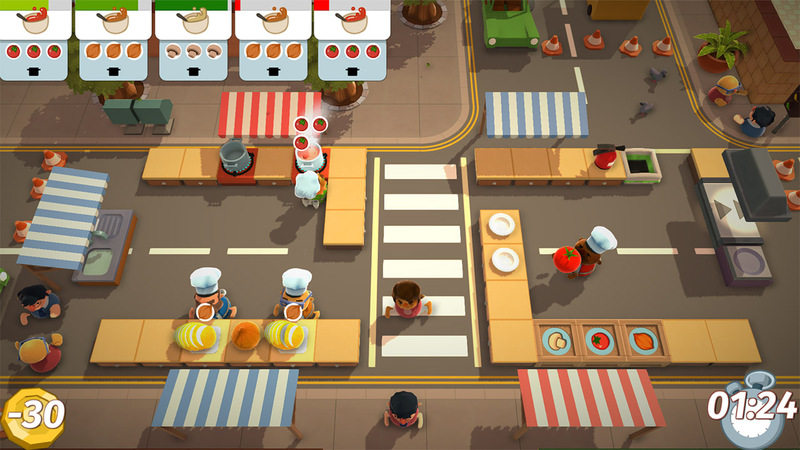 Overcooked is a multiplayer co-op game, one of my favorite genre's ever. I picked it up on sale and then didn't get around to playing it until over the holiday break. In one night my entire family was hooked. Overcooked sees you take on the role of a chef trying to prepare meals under increasingly difficult circumstances. The levels get crazy, but in a good way. Like, having to run across ice flows between different halves of the kitchen. Or cooking on a ship where the rocking of the waves moves your counters back and forth. Or having a pedestrian crossing in the middle of your kitchen. 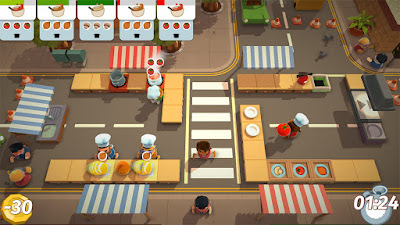 Even though the levels get tricky the best part of the game is that it has simple controls so anyone can jump in and be playing decently within a few minutes. Where we're playing on PS4 one analog stick moves your character, the X button picks up and drops off items, and the Square button interacts with a work station (like for cutting). That's it. No crazy controls to master. Just simple controlled chaos brought on by level design and having to coordinate with other people. I love this game so much. If I had played it before the end of the year it would have made my top list of 2016. If it has staying power with my family it might very well make the top list of 2017. But for now, I can definitely give it my full recommendation. 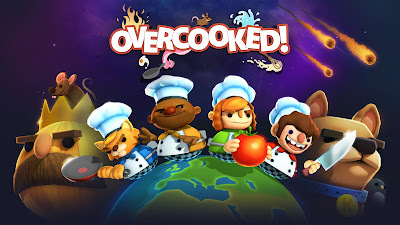 If you have anyone to play couch co-op games with (2 to 4 players) you should go pick up Overcooked. Stellaris is a 4x space game from Paradox. I've often picked up 4x games only to set them down after an hour or two out of frustration. It's a genre I've always found interesting in the abstract but I have trouble finding a game that nails the execution. So I was a little surprised that my first play session of Stellaris lasted four hours. I was learning a lot and made some mistakes but overall it was great! I came back to that same playthrough another night and played for another few hours before stalling out in the mid-game as all the alien cultures' borders filled in. I immediately jumped over to a new game with slightly tweaked settings (for fun and variety) and proceeded to spend another six hours of so in that game. And this time I made my own alien race! That part was super fun. The second round was much better since I could apply everything I learned the first time... but again I found myself stall out in the mid-game without much to do. I looked around online and saw most people suggesting fighting with neighboring species to gain territory at this point in a playthrough. I've never liked doing that in my 4x games so I mostly ended up sitting there researching technology until I stalled out completely. Apparently there are endgame events that are a lot of fun if you have the patience to get to them but I haven't seen them. But not all hope is lost. This is a Paradox game and they're very well known for expanding and adding to their games over time. There are already two expansions for Stellaris out as of me writing this. I think I'm going to shelve Stellaris for the moment and wait for them to release some more expansions for it. If they put out expansions for non-miltary mid-game choices I would be all over that. Think things like trading, economy, and espionage. It feels like some of the groundwork is laid for this stuff already, it's just not implemented yet. Having already gotten 13 hours of play time out of Stellaris I definitely don't feel like I wasted my money. I'm perfectly happy biding my time to see what else they do with the game in the future. 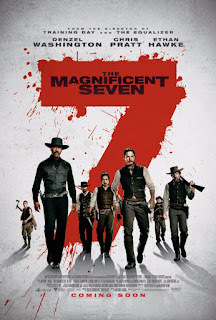 This the the movie that finally solidified the fact that I just don't like Westerns. I've always been ambivalent with Westerns but Magnificent 7 had enough actors that I like that it convinced me to give it a shot. It is a very mediocre movie. It's completely predictable. The pacing is sooooo slow. I think it's a stereotypical Western but made in 2016 instead of the golden age of Westerns. It just completely and utterly failed to click with me. I even held out for the end hoping something would redeem it. Maybe the fight scenes would get better. Maybe there would be a cool twist. Maybe a character would actually have character development! No on all counts. At least now I've learned that while I don't mind a Western setting (see my love of Westworld) I do hate the genre of Westerns. The genre styles and conventions just aren't for me. We’re back with Season 2. BJ is sick and it shows! We hope he’s back to normal next week. Send him well-wishes. Besides that, we talk all about our geekery from the holiday break and spend some time catching up for the start of Season 2! The whole episode is weekly geekery! I don't have a ton to say about the novelization of Rogue One, but I did read it. Like most Star Wars movie novelizations it's essentially the movie in book form. While books adapted to movies often work well it typically isn't as interesting the other way around. But, I always read the Star Wars ones anyway just to get the bonus content and context to the universe. 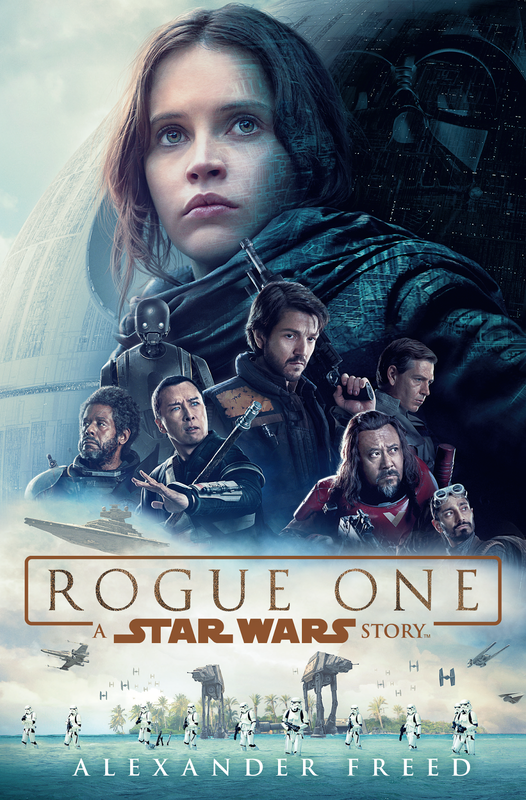 The Rogue One novelization has a few scenes that either were never in the movie or were cut from it. It also fleshes out a lot of characters' internal thinking about events, which is something you almost never get in a movie. My favorite part is probably the admin documents used to break up the story randomly. They give looks inside the building of the Death Star and inside the Rebellion. It's just tiny vignettes but they're great! I wouldn't recommend this book to anyone who isn't Star Wars obsessed in the same way I am. But, I'm glad to have read it. I always like learning new things about this universe. 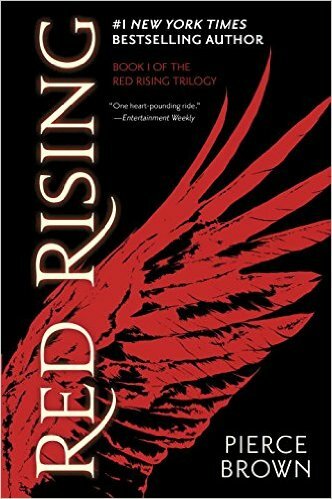 Red Rising is a book I've owned for awhile but didn't pick up until very recently. I probably bought it on sale because I've consistently seen it come up on lists of really good sci-fi. Now I see why. 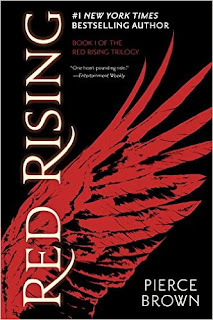 The world of Red Rising is in a caste driven future where humanity has expanded to all around our Solar System. The main character is a "Red", basically the lowest caste in the whole class system. He's a helldiver on Mars that mines for minerals required to terraform planets. His caste is being oppressed by the leader caste, the Golds. You can see where this is going, right? I thought I could... and the first quarter of the book was predictable yet interesting. But after that things get really shaken up. So, if I've sold you on my slight info and two thumbs up alone... go buy it now and stop reading. If not, I'm going to drop some spoilers to get you more interested. 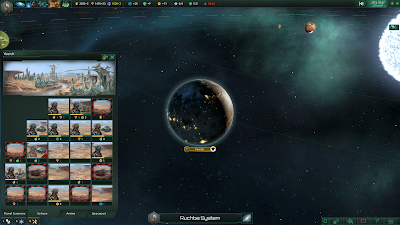 It turns out that Mars is already terraformed and so are most planets. The Reds have been led to believe that Mars is in it's early stages and no one could possibly live on the surface. Instead, the surface is thriving and they are just being exploited through misinformation. 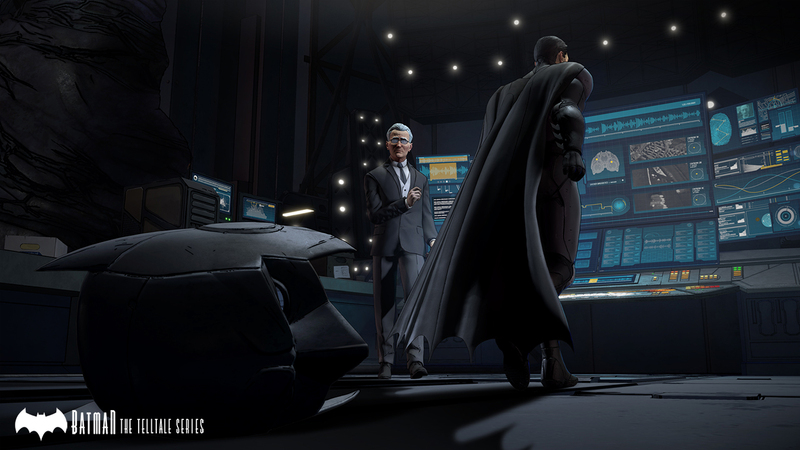 Darrow, the main character, joins up with a resistance group and is convinced to try to become a Gold. His body and mind are reshaped through an arduous process and then he's set to infiltrate their ranks. The book really picks up around here and doesn't let up until the end. I loved this book. I'm definitely going to pick up the second one and start reading it soon. Orwell is an indie game from last year that I picked up on the latest Steam sale. It got a little bit of buzz for end of the year lists so I wanted to check it out. Orwell is about information. And privacy. And freedom of speech. All three of these things havve always been super interesting topics for me so that was a plus in it's favor right away. But not only was it dealing with issues I care about, it also has unique gameplay. Basically, you're a member of the new Orwell program that has been given access to everyone's digital information. Once someone has been declared a person of interest you can dig into anything you want about them. Often this means you need to figure out who they are first. Sometimes you only have a username to start with, or an alias, or almost nothing. But you slowly piece together a picture of who these people are by using the data that you find. It's a look at what could be with such an interconnected informationally driven society. There are analogs to chat messenger programs, social media, government databases. This is a game that had a big impact on me and I immediately wanted to discuss it with others, but no one I know has played it. You know that feeling you get after you finish an amazing book and just need to talk about it right away but you can't because no one else has read it yet? That's how I felt wrapping up Orwell. Orwell is one of the most fascinating games I've played in years. If I had played it in 2016 it would have made my end of the year list for sure. I tried out a few demos that were getting a lot of buzz, Nier: Automata and Gravity Rush 2. I had played Gravity Rush on Vita so I was excited to start with that one. What I found was a game that was functionally identical to the the first Gravity Rush. Yeah, it had visual upgrades and looked much prettier. But, besides that, there wasn't anything new about it compared to the first game. 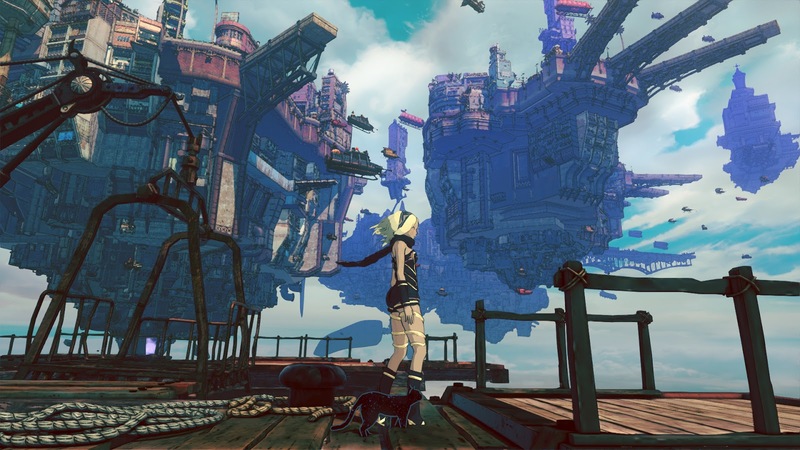 I'll definitely be skipping the full game of Gravity Rush 2. Nier: Automata, on the other hand, I knew almost nothing about. I was going in completely blind but I heard a ton of good things about it. I found this demo to also be a let down. It was an extremely generic hack and slash game. I don't know what everyone was freaking out about. I mean... I guess it looks good? For me, graphics matter less and less these days. There was nothing compelling about Nier: Automata for me. I'll keep an eye on the coverage for this one in case I missed something critical about it but I'm not expecting much. Overall, both were a couple disappointments but I'm glad I tried them anyway. It's nice to sample a game for free and realize you won't need to drop money on the full release later. Welcome to the Season 1 finale of the Geek to Geek Podcast. It has been one heck of a year, and we could not have done it without you fine folks backing us at every turn. We did not expect the kind of response we’ve had to the cast, but we thank you from the bottom of our hearts for listening to us ramble about geekery and for being our friends (and not just internet friends, either! Real friends!). Here’s to an amazing 2017, and Season 2 picks up next week! Keep listening and tell your friends! Much like last week, we wanted to do our Best of 2016 list. Whereas we focused on video games last time, this week, we’re looking at pretty much everything else. From movies to books to music to podcasts to YouTube videos, we break down our top picks of the year so you can start 2017 off right. Once again, we look at the few letdowns we had this year. This isn’t a negative podcast, so we don’t dwell on it. Beej was disappointed in Batman v Superman. It was a terrible movie that he knew was going to be terrible, but despite his low expectations, it was even worse than that. Void didn’t have much. So let’s get on to the awesome stuff, shall we? We did a huge list of honorable mentions because we tend to sample a lot of stuff and try to experience as much cool things as we can possibly fit into our lives (hence the Weekly Geekery segment in each episode). A lot of our honorable mentions match up, including fantastic Netflix originals, superhero shows and comics, as well as some movies that we rank differently but still considered some of the best things that happened in 2016. And then there are our Top 6 picks of the year, ranked in order of Supercoolitude (is that a word? It is now). What’s fun about these is how different they are. It really shows the different perspectives that we approach media and what we consider worthwhile (you can also see this in our Star Wars: Rogue One discussion a few weeks back). We very much agree that all of our Top 6 are amazing choices, but the value we place on each entry is decidedly different. We think you guys will enjoy the discussion we have about each. Beej - Grabbed an iPhone 7 Plus because Verizon had a deal and has finally realized how cool mobile gaming can be if you have a device that’s worth gaming on. Void - Snagged himself an NES Classic because he’s one lucky son-of-a-gun. His kids are enjoying it almost as much as he is, and that’s staying a lot! Warbands: Bushido is a really cool tactical miniatures game. I picked it up in the winter Steam sale for cheap and had some fun playing around with it for a day or two. It's still in beta right now which is why I decided to set it down for the moment, but it's one that I'm going to keep installed and then dive it deep once it hits a full release. It's already obvious that the full release will have some type of single player campaign beyond the tutorial and looks like it will have new single player scenarios rolling out all the time. The multiplayer is the only thing that's basically fully fleshed out right now, but it's fun too. I would dive into this right now if I weren't worried about progress being reset when the game goes into full release. You can collect minis to use in building your warband. The more you level up the more points you have to spend on which figures can be in your warband at a given time. 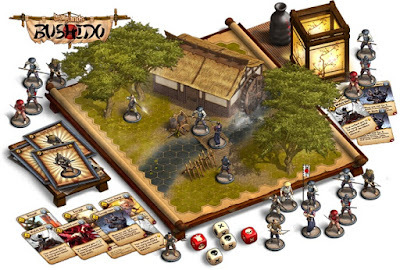 Honestly, it feels a lot like some tabletop tactical mini games that I've sampled over the years... but digital! I like it a lot and will definitely be coming back to it once it's officially complete and fully released. 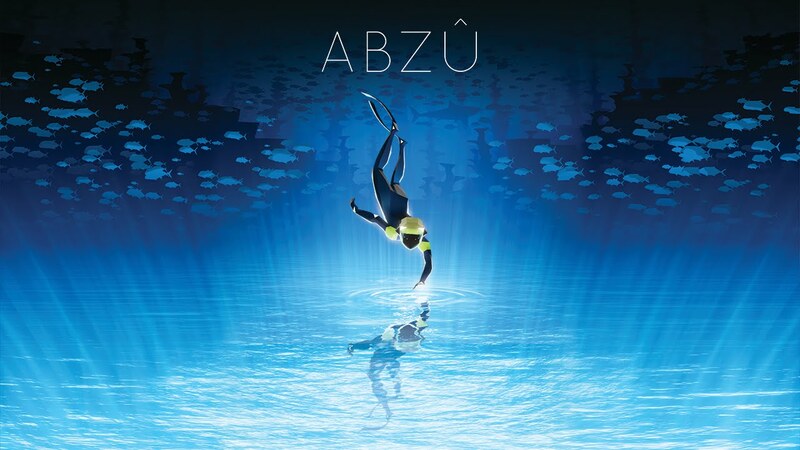 Abzu is a game very much in the vein of Journey. It's a relaxing exploration game with no real way to lose, but it gives a beautiful world to explore that keeps things interesting. It tells a very light story but I liked what was there. The core moment to moment gameplay consists of swimming around under water on some kind of alien planet. A lot of the creatures are obviously taken from earth oceans and the mix of familiar and alien is interesting. 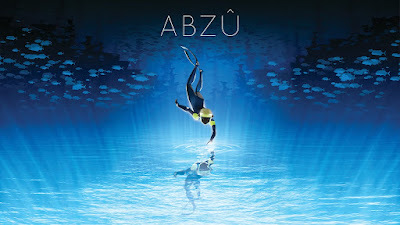 Abzu wasn't a long game but I liked it. 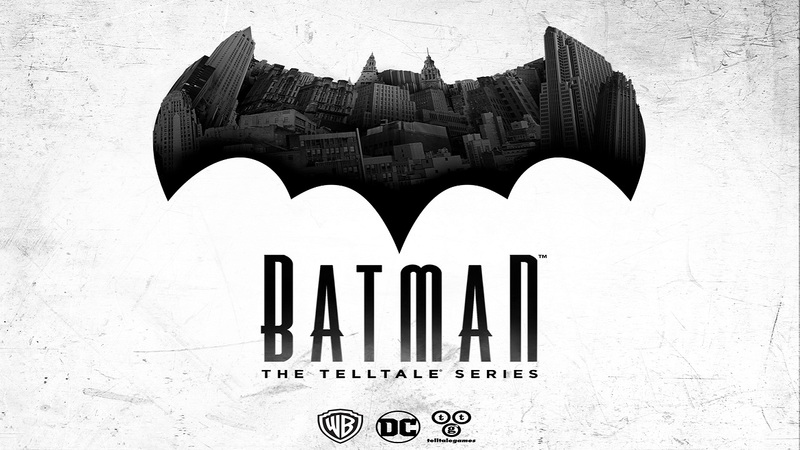 I played the whole thing in one sitting of about 4 hours or so and enjoyed my time with it. I would recommend picking it up for cheap on Steam sale whenever it hits a price that looks good to you.